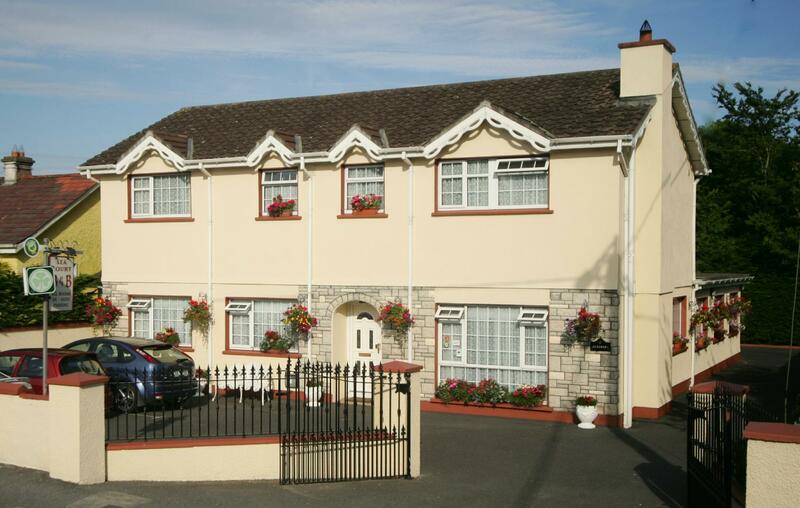 Welcome to Seacourt Bed and Breakfast Tramore..
Sea Court B&B Tramore ( Bed & Breakfast) is a comfortable and homely adult only AA & Failte Ireland 4 star award winning Bed & Breakfast located in the seaside town of Tramore, Co. Waterford in Ireland. It serves as the perfect place to stay during your visit to Tramore our gorgeous seaside town. Sea Court bed and breakfast is ideally located in Tramore, just minutes walk from all local amenities and our famous Blue Flag Beach. We are just a 10 minute drive to the popular House of Waterford Crystal where you can buy some of our famous locally made Crystal and get a guided tour of the factory. Guests at the Bed and Breakfast in Tramore can relax and enjoy a cup of tea/coffee on arrival. Free WiFi Internet access is available throughout the house and we have a free secure private car park at the rear of our house. All rooms are en-suite, spacious and decorated to a high standard. All rooms have TVs, clock-radios, hairdryers, complimentary showergel, shampoo & tissues. Sea Court B&B Accommodation is within easy walking distance of the town of Tramore, with its wide variety of fine restaurants and exciting night life. It also makes the perfect place for a relaxing get away with fantastic Scenery, Activities and Amenities. Tramore itself has lots to do and see. The near by activities include some of Ireland's most challenging golf courses, regular horse racing, an indoor water park, amusements and horse riding to name a few. After a hearty breakfast, you can take a stroll on our gorgeous 5km golden beach and take in the stunning scenery, which was awarded the Blue Flag Award for 2011. Keep an eye out for the Metal Man keeping watch on top of the cliffs! Bikers begin here! At Seacourt B&b we have been catering for biking holiodays for many years and have all the facilities to accommodate you and your machine. Our secure yard for your motor bikes will keep them safe overnight and give you that peace of mind you need to have when your depend on your transport so much. We welcome you to our home and you can be assured friendly accommodation in a relaxed environment. We look forward to meeting you on your arrival. Bed & Breakfast High and low season booking direct €37.50 per person per night.